Having played three seasons, Jared Goff is now extension-eligible. But the Rams’ payroll, after a busy 2018, includes a few top-market contracts — a payroll option aided by Goff still being tied to his rookie deal. It can be expected for the Rams to sign Goff long-term, but at the moment, the franchise has not seriously discussed this. They have not ruled out a 2019 extension for Goff, but it doesn’t seem to be a front-burner issue right now. The Rams last year authorized their big-ticket extensions late in the summer, with Brandin Cooks, Todd Gurley and Aaron Donald agreeing to new deals between July 17 and August 31 of last year. So, the team may be tabling this until that point on the calendar. 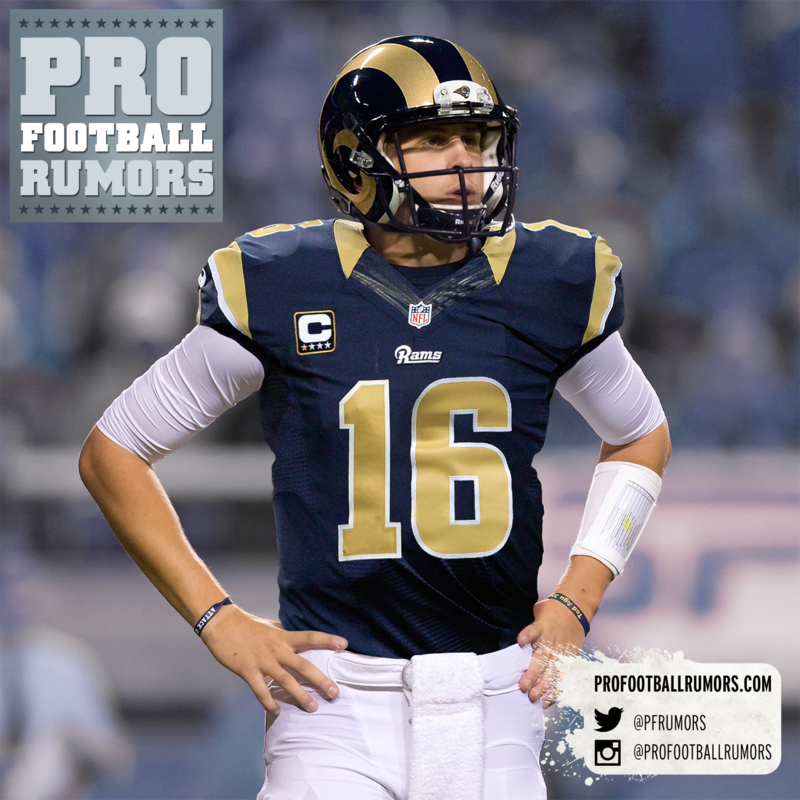 However, Goff could be under Rams control for $8.9MM this season under the terms of his current contract. The Rams have $5.4MM in cap space. This comes at a time when the Eagles are eyeing a 2019 extension for Carson Wentz, who was taken one pick after Goff in 2016. While a Goff extension would be proactive, with deals for Wentz, Patrick Mahomes and others set to reshape a market that has already changed significantly over the past year. The Rams waited until Donald’s fifth-year option season to finalize a second contract for the all-world defender. Gurley, though, had two years of team control remaining at the time of his signing. Goff did not fare well in Super Bowl LIII but set new career-high marks with 4,688 passing yards, 32 touchdown passes and a 65.4 QBR during the regular season. The yardage and QBR figures are far north of his 2017 Pro Bowl season’s numbers. Another strong season would raise the 24-year-old passer’s stock further. It’s already been a busy offseason for the Rams, as the front office made a number of coaching moves that should bring some excitement to Los Angeles. The organization didn’t only make Sean McVay the youngest head coach in modern NFL history, but they also added Wade Phillips as their defensive coordinator. 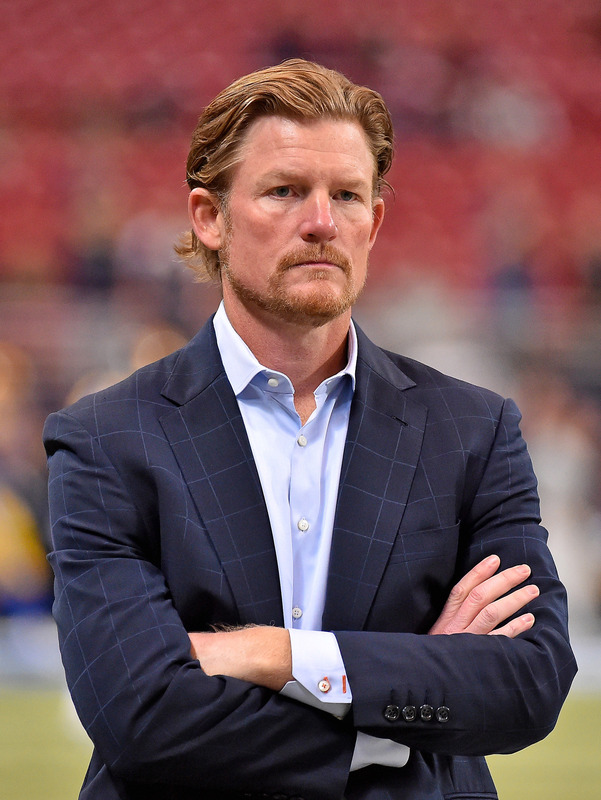 Of course, general manager Les Snead‘s job isn’t done. There are plenty of question marks when it comes to next year’s roster, and the executive will start solidifying his squad in the coming weeks. It’s been less than a week since Jeff Fisher was fired as the head coach of the Los Angeles Rams. Since then, we’ve heard plenty of rumors regarding potential replacements, but we haven’t heard anything from Fisher himself. The future is now in Los Angeles. 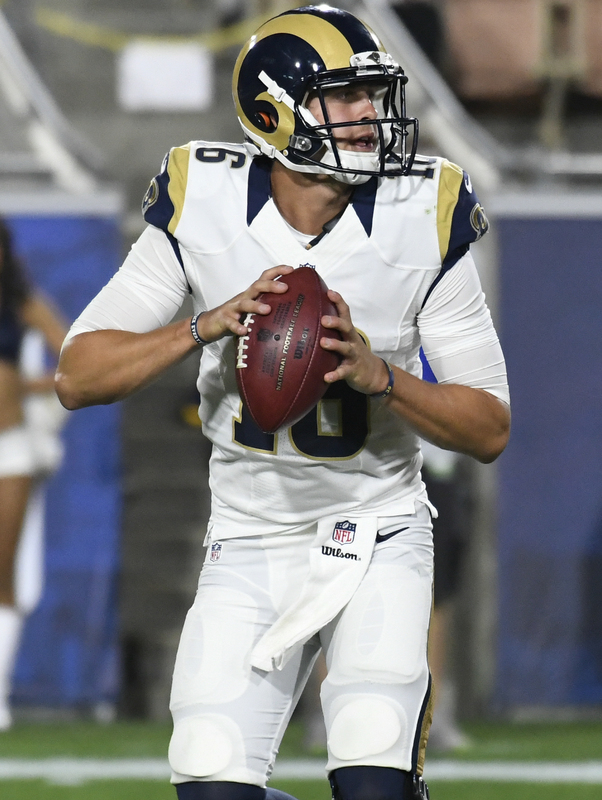 The Rams are starting Jared Goff on Sunday, according to Chris Mortensen of ESPN.com (on Twitter). The team informed Goff and previous starter Case Keenum in a meeting this morning. Over the weekend, it was reported that Keenum would likely be given the hook if he struggled against the Jets on Sunday. 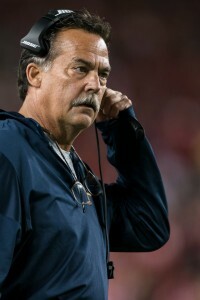 After the 9-6 victory, coach Jeff Fisher refused to blame Keenum for the unproductive offensive showing. Keenum didn’t throw any interceptions against Gang Green, but he also didn’t throw any touchdowns. Even though Fisher did not hammer Keenum for his play, it appears that the team is not content with treading water at the QB position. Goff is green, but it’s not as though Keenum has been setting the world on fire with his play. The Rams will turn it over to the No. 1 overall pick with an eye on winning this season and evaluating their future. Goff’s first test comes against the Dolphins who have rebounded from a 1-4 start with a four game winning streak. They are now above the .500 mark, though they have allowed 364.3 yards per game to opposing offenses. In terms of pass defense, Miami has surrendered only 235.6 yards per game, which actually puts them in the top ten. Photo via PFR on Instagram. We heard just last week that Rams rookie signal-caller Jared Goff was unlikely to start a game in the near future, or at least until the team was officially eliminated from playoff contention. Head coach Jeff Fisher implied that Goff was simply not ready to be thrust into game action, and as poorly as incumbent starter Case Keenum has played, it seemed as if his job would be safe for a few more weeks. Today, however, ESPN’s Adam Schefter passes along a rather different report. Per Schefter, if Keenum struggles this week against the Jets, Los Angeles could give Goff the nod as early as next week’s matchup with the Dolphins. The Rams are hosting Miami next week, and LA wants to give Goff his first start at home in front of a friendly and supportive crowd. The decision has not been set in stone, and Keenum can apparently hang on to the starting job if he performs well against the Jets. The odds of that, however, seem slim. In his second season with the Rams, who sit at 3-5 as losers of four straight, Keenum has completed 61.5 percent of his passes for 2,004 yards, with nine touchdowns and 11 interceptions in eight games. He ranks last in the league in Total QBR (39.6) among qualified starters. 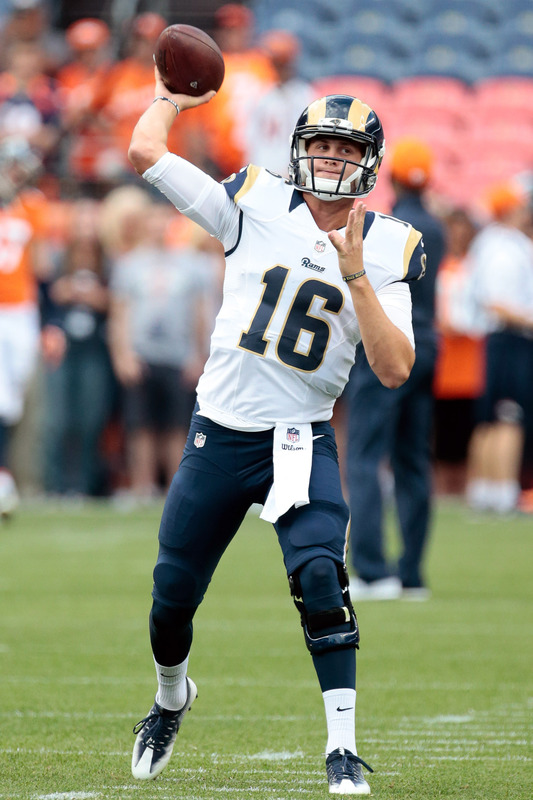 Those struggles have understandably led to calls for Goff, this year’s No. 1 overall draft pick, to get his shot. Several weeks ago, reports indicated that Goff had made progress in terms of learning the offense, and now he may get a chance to show what he has learned on a national stage. Dolphins defensive coordinator Vance Joseph attributes defensive end Andre Branch‘s production to the player’s impending free agency. Joseph told Armando Salguero of the Miami Herald that Branch is hoping to get “paid,” thus explaining the uptick in production (Twitter link). Through eight games, the 27-year-old has 20 tackles and three sacks. The Broncos worked out fullback Sione Houma today, reports Nick Underhill of The Advocate (via Twitter). The undrafted rookie was cut by the Saints in late August. The Broncos lone fullback, rookie Andy Janovich, has four carries for 33 yards and a touchdown this season. Broncos defensive end Derek Wolfe will be out at least two weeks as he recovers from a hairline fracture in his right elbow, reports Cameron Wolfe of the Denver Post. The defensive lineman is second on the team with 4.5 sacks this season, and he’s also chipped in 30 tackles. The team will be forced to rely on Billy Winn and Adam Gotsis in Wolfe’s absence, and the team could consider promoting Vontarrius Dora from the practice squad. 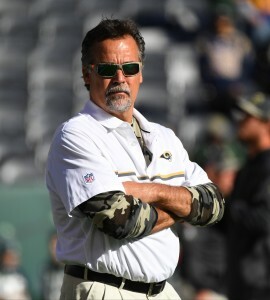 Speaking to the media today, Rams head coach Jeff Fisher announced that Case Keenum will remain the club’s starting quarterback, according to Alden Gonzalez of ESPN.com (Twitter links). Moreover, first overall pick Jared Goff is unlikely to start for Los Angeles until the team is eliminated from postseason contention, per Ian Rapoport of NFL.com. The Rams won’t turn to Goff barring an “epic collapse” from Keenum, according to Rapoport, although it could be argued that Keenum’s four interception game against the Giants in Week 8 was just that. Keenum turned in another poor result on Sunday, completing only 27 of 46 attempts for 296 yards, one touchdown, and one interception as Los Angeles fell to Carolina. For the season, Keenum has completed 61.5% of his passes for nine scores and 11 interceptions. At 3-5, the Rams aren’t particularly close to falling out of playoff contention — they currently sit behind the Seahawks (4-2-1 heading into tonight’s game) and the Cardinals (3-4-1) in the NFC West. But their chances are certainly slim, as Football Outsiders gave Los Angeles only a 10.7% chance of making the postseason before yesterday’s loss. 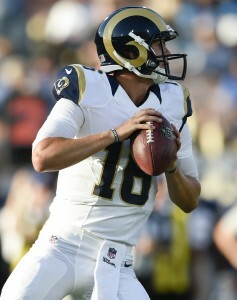 Still, it doesn’t appear as though Goff is set to enter the starting lineup any time soon.